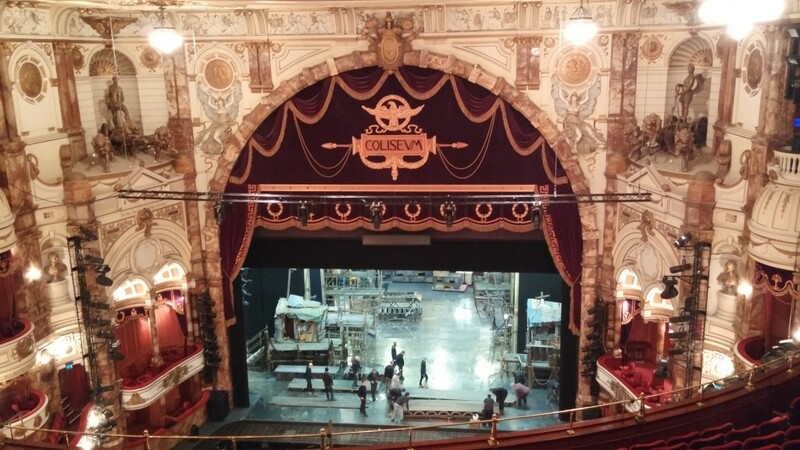 LONDON — How do you get a Bat Out of Hell and onto a musical stage? 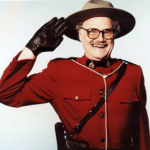 You call a Canadian. 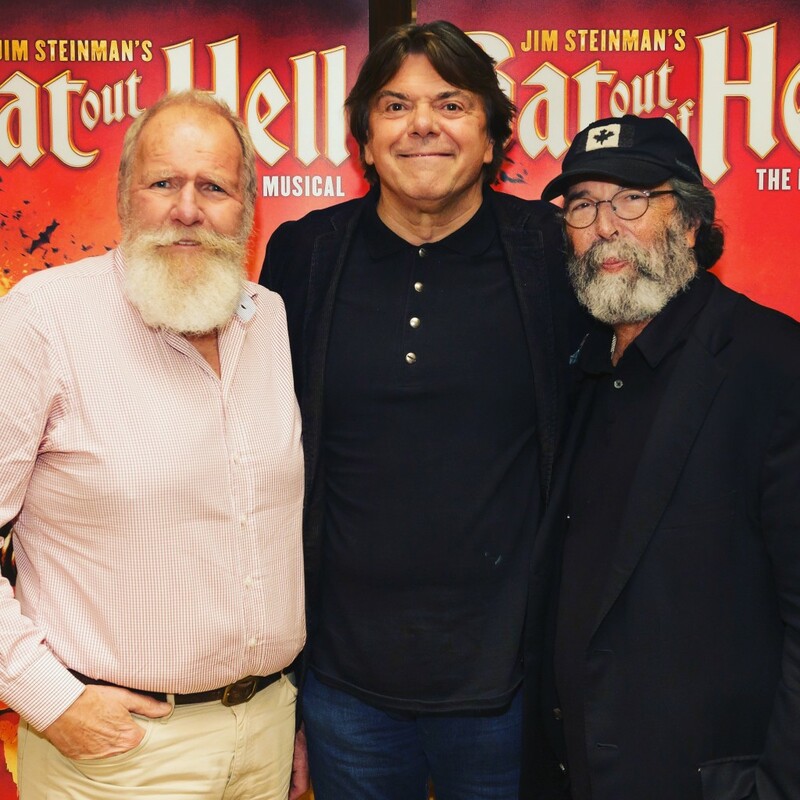 There are actually several Canadians connected to Jim Steinman’s Bat Out of Hell — The Musical, previewing in Manchester in February and opening in London at the beautiful Coliseum in June. The other big Canadian production connection is Randy Lennox, president of broadcasting and content at Bell Media. The former Universal Music Canada boss has dragged Bell to its first rock show. 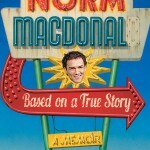 Does this mean the musical will be coming to Toronto? Like a bat out of hell. Look for official word in days. The choreographer of the show is also Canadian. Emma Portner hails from Ottawa and worked with Justin Bieber on his Life is Worth Living video. Then there’s Meat Loaf himself. He’s from Texas but his wife hails from Edmonton. Did they meet in Canada, I asked Mr. Loaf. “Nope — Barbados,” he replied. 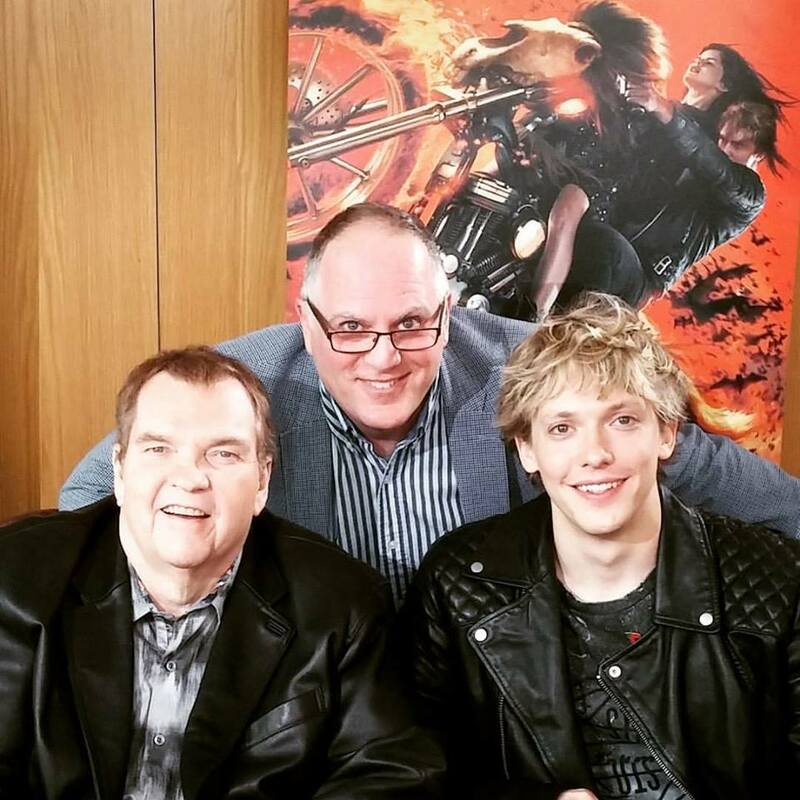 Meat Loaf says he’s worked all over Canada, however, shooting movies from Halifax to Vancouver. A devoted Yankees fan, he seemed pretty happy to hear the Cubs had won the World Series. Since Mr. Loaf — now 69 and carrying a cane — is not as spry as he once was, his role is mainly to help promote the musical for his friend and songwriter, Jim Steinman. The two just collaborated on a brand new album, Braver Than We Are. 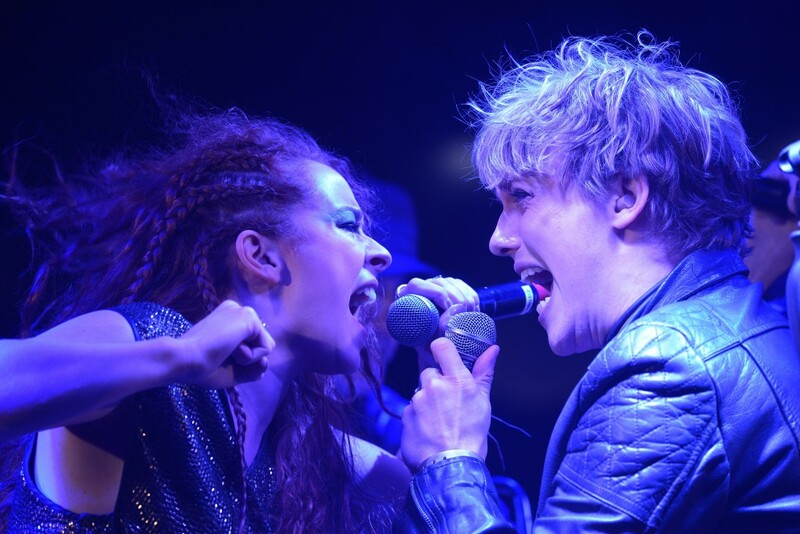 Starring in Bat Out of Hell — The Musical will be Andrew Polec. The relative showbiz newcomer won the part of Strat, the forever-young leader of The Lost. He’s not Canadian, but he studied drama across Lake Ontario from Toronto in Rochester, and his parents are from nearby bordertown Buffalo. Andrew’s father, in fact, was a familiar face to many Torontonians as an all-purpose newsman for WKBW. 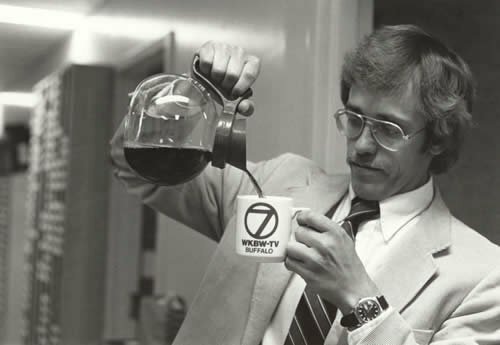 Don Polec was a fixture for years at Channel 7 before good word of mouth sent him packing for a bigger market as a TV personality in Philadelphia. (Another WKBW stalwart — Rocketship 7‘s Dave Thomas — also found a second career around the same time on TV in Philly). Young Polec and the other young cast members threw themselves into a spirited promotional performance Thursday night right on St. Martin’s Lane in front of the Coliseum. A gigantic flatbed truck filled with amps, instruments and other concert gear provided the stage and a crowd wandering the West End theatre district provided the audience. Many came to see Meat Loaf who worked the crowd before giving way to the performers. Three songs were performed, including Two Out of Three Ain’t Bad. 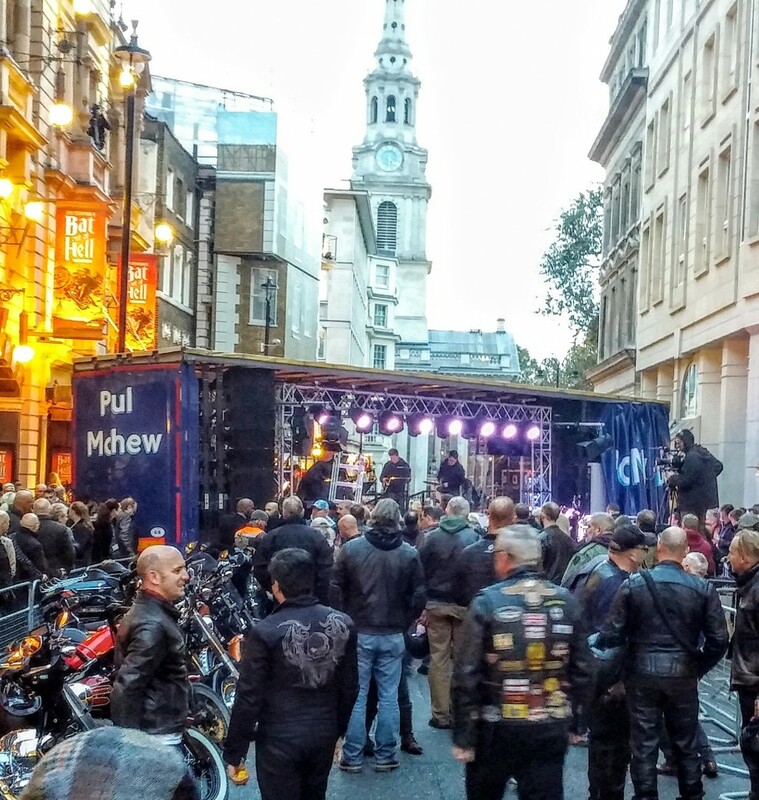 The crafty promoters alerted a few local Harley-Davidson clubs that Meat Loaf and Bat Out of Hell would be providing live entertainment. More than 60 bikers responded with their Harley’s polished and ready to roar. It was Meat Loaf who rode onto the set of the original Rocky Horror Picture Show on a Harley. Did he see Fox’s recent TV re-boot? He did not. Polec, however, did. “It was terrible,” he said. No one argued. For more on how Cohl and Lennox got this deal done, follow this link to my Canadian Press coverage of this week’s promotional event in London. I was one of the Harley riders was a great launch n wish everyone in the show n all concerned a great n long run. You guys really added to the show!